Eight weeks ago today, I marveled, not for the first time, at the magnificence of the cathedral church of Notre Dame in Paris. I gazed at the glorious rose windows, at the lofty gothic arches, and admired the statues. But there was something hidden that I didn’t see, that almost no one saw until the tragic fire on Monday—the wooden beams that held up the roof. They were concealed from view, though they’re famous now for fueling the flames. 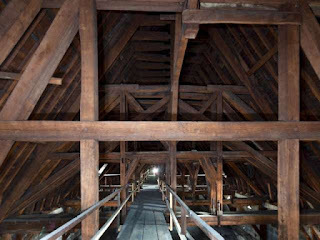 The beams were put in place eight hundred years ago, each made from a single tree, 13,000 of them. No forest in France contains such trees today. As we know, the stone walls of the cathedral survived the destruction of the roof, and Notre Dame will rise from the ashes, rebuilt and strong. 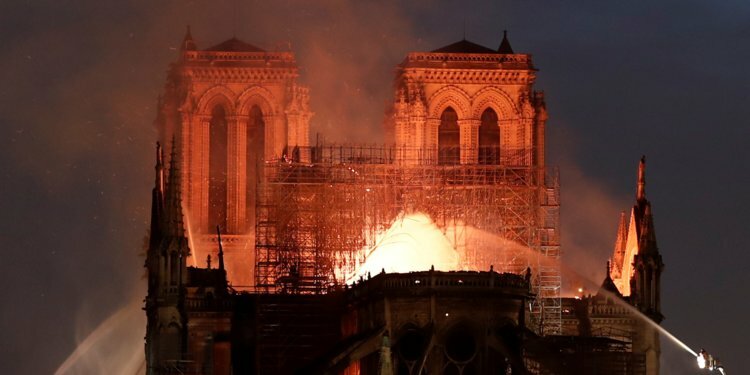 No-one but historians and architects will really mourn the loss of all those unseen beams. But we should: they are a reminder of the invisible things that make visible things strong and durable. Tonight, the Church gives us a tour of unseen realities that are the framework of our salvation. We know well the main story—the triumphant resurrection of Jesus is as central to our faith as Notre Dame to the city of Paris. But there are other stories that connect to Easter, and by listening to them we understand that God’s plan, however simple in its essentials, is far more glorious than the most magnificent of cathedrals. The liturgy at this great Easter Vigil could easily begin where we left off on Good Friday. Jesus has died, now let us hear the Gospel of his Resurrection. Yet the Church makes us wait for the whole story, and invites us to wonder as we wait. Paying no attention to our impatience, the readings began at the dawn of creation—with the goodness of creation, the first expression of God’s love for us. We responded in song, praising God for his works and wonders. But the psalm’s antiphon, “Send forth your Spirit, O Lord, and renew the face of the earth” expresses the fact that what God created needs renewal: a new creation is called for. The second reading presents the source of the new creation: it will be a sacrifice. The sacrifice of an only son. That’s enough to make us afraid, so in the psalm we renew our confidence in God, who will keep us safe and strong, and bring joy regardless. 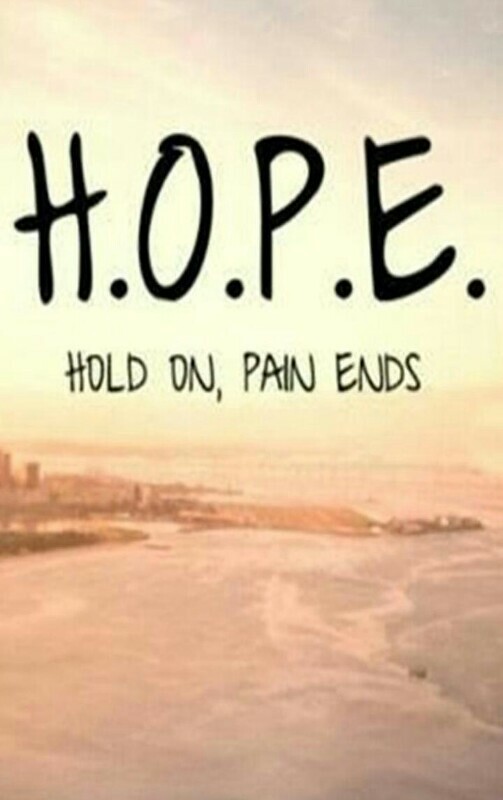 God kept his promises to Abraham, and he will keep his promises to us. The third reading offers further encouragement to the hesitant and fearful. God not only keeps his promises, he keeps them with power and might. We’re not part of a TV show called Survivor; a reality show about Christians would be called Victor. Our fourth reading moves from history to our own hearts. Isaiah invites everyone here tonight to take stock. Are we thirsty and hungry? The prophet knows that only the foolish are fully satisfied with life; he promises on God’s behalf what the heart most longs for—a relationship that fulfills our deepest desires and answers our most troubling questions. We use Isaiah's own words in response—we “will draw water joyfully from the spring of salvation.” Lowering our buckets into the well of salvation is the source of the greatest joy imaginable. Tomorrow I will invite our many Easter visitors to experience that joy, by putting Alpha on their bucket list—not for the future, but for this coming Thursday. I will promise them the joy that comes from knowing Jesus if they will take the simple step of seeking the Lord while he may be found, in an evening of welcome, fellowship, and hope in God. I don’t need to talk much about that tonight, because three of our five catechumens and confirmation candidates, attended Alpha, heard an invitation from Jesus, and came to know him better through the Rites of Christian Initiation for Adults, or RCIA. These three—and many others—can tell you about the joy of drinking living water from the well of salvation. Not all of us have quenched our thirst with Christ, but our final Old Testament reading brings everyone God’s promise of water that washes us clean. The cleansing water of baptism brings a new heart, a heart that beats with love for God and neighbour. Ezekiel speaks God’s promise of a new spirit that helps us live a new life according to God’s commands. The psalm that follows is not triumphant like Miriam’s song after the crossing of the Red Sea; it’s not the loud shout of joy we sang in response to the promise of thirst-quenching and hunger-satisfying blessings. 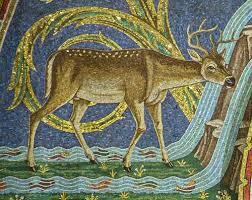 No, our last response to this forest of Old Testament scriptures is that of a panting deer, at the edge of the babbling brook that will bring relief from exhaustion. Dear catechumens, you are almost there! You have a right to be a bit weary, a bit impatient. But very soon you “will go to the altar of God”; very soon you will be baptized and confirmed and receive the Eucharist for the first time. I dare not hold you back any longer from the saving water of baptism, from the strengthening oil of confirmation, and the living bread of the Eucharist. Let me just end by proclaiming that the sturdy oaks of the Old Testament are timbers that hold up the indestructible structure of the Resurrection of Christ, in which God’s creation is refashioned and his promises fulfilled. As the flames licked through the roof of Notre Dame on Monday, firemen and others formed a human chain to rescue precious relics and other treasures of the ancient cathedral. 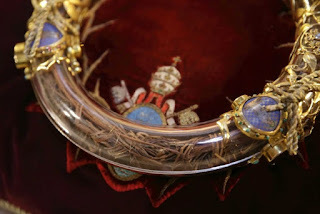 Most valuable of them all, in more ways than one, was the Crown of Thorns, said to have been worn by our Lord during his Passion. Obviously, this relic is precious first and foremost because of its association with the suffering of Jesus. The Crown of Thorns was placed on Christ’s head in ridicule but became a symbol of his nobility and triumph. But there is a more worldly reason why saving this relic was an obvious priority for those rescuing the priceless contents of the cathedral. Although a sacred relic, properly speaking, cannot be bought, the Crown of Thorns cost Louis IX, now known as St. Louis of France, what might now be called a king’s ransom – more than his own weight in gold. The relic had been pawned as collateral for a massive loan to the Latin emperor of Constantinople, who was eager for closer ties to France. So, King Louis paid off the loan and took ownership of the Crown of Thorns. I’m telling you this story to show that nothing movable in the great cathedral had greater religious, historic, or even monetary value. Nothing, that is, other than a metal container filled with flat wafers of unleavened bread. Not bread, of course. Consecrated Hosts, kept in a tabernacle for distribution at Mass and to the sick. Those Hosts, the Body of Christ under the appearance of bread, dwarfed everything and anything else that could be found inside Notre Dame. The fire department chaplain, Father Jean-Marc Fournier, is heralded as a hero for his role in removing the sacred Hosts from the burning church. 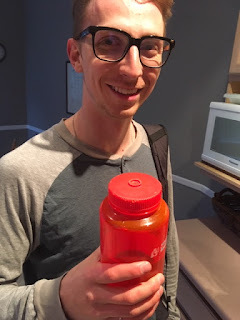 The newspaper says that his glasses even reflected the orange flames. In the middle of flames and falling debris, he took the time to lift high the Eucharistic Presence and bless the burning church with it, praying that the Lord might help those seeking to save God’s house. It’s the story of the Lieutenant Governor of Quebec, Paul Comtois. When his official residence caught fire, he did the same thing as Father Fournier. Since there was a chapel in the mansion, after making sure his family was safe, he returned to the building to remove the Eucharist. Father de Souza calls him “a martyr for the Eucharist”. We are here because we believe what Jesus said when he told his disciples “my flesh is true food and my blood is true drink”. And we hold fast to his promise that “whoever eats of this bread will live forever”. We, for whom these truths are central to our faith, and to our very being, understand well the heroism of Father Fournier and the Honourable Paul Comtois. We may not be called to give our lives for the Blessed Sacrament. But we are called to live our lives for the Body of Christ. The Eucharist calls us to action. Receiving Holy Communion is not a passive thing, like taking medicine. Rather, we enter into a communion of charity not only with God, but also with our brothers and sisters – not only those with whom we gather at Mass, but all those who need our love and care. Given all the wonders the Eucharist contains, and the rich accounts of the Last Supper in the Gospels of Matthew, Mark, and Luke, I marvel every Holy Thursday that the Church chooses to read St. John’s version of the story. No bread. No wine. 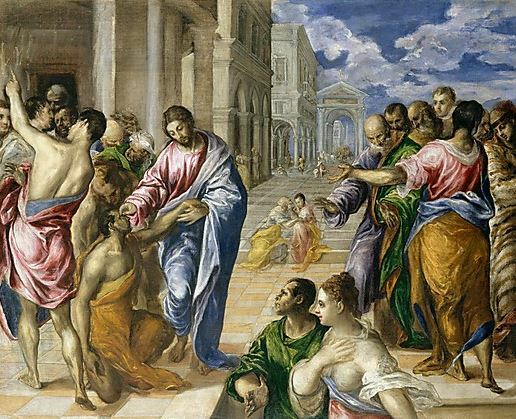 The only detail is the washing of feet and the lesson of charity, forever connected to the Lord’s gift of himself in the Eucharist. Rarely do we find ourselves called to wash one another’s feet. But just about every day we’re called to acts of service that we find irksome, or to put up patiently with people it would be easy to dismiss or reject. 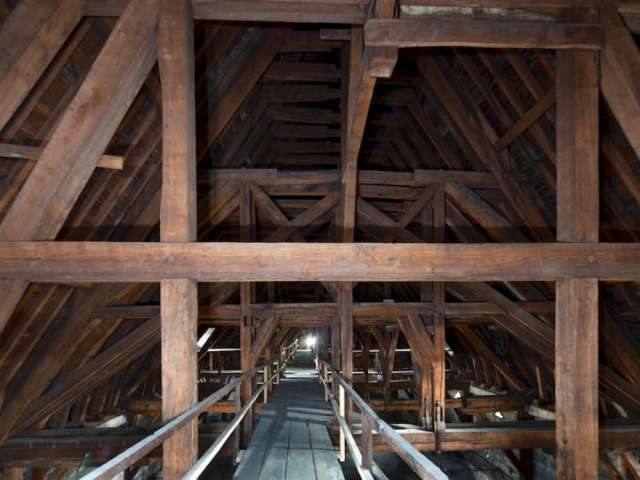 No doubt the people who built the Cathedral of Our Lady of Paris had many motives. But at the top of the list was surely the belief that what happened inside more than deserved the majestic beauty its architects achieved. We live in a different age. But we too are called to build a temple in which the Lord can dwell and be glorified. We build it with the same faith as medieval Christians, but instead of stone, mortar, and marble, we build it with charity – with our care for the poor, the sick, the dying, the disagreeable. And all because we believe. On this sacred night, we celebrate what we believe, and recommit ourselves to the great construction project of Jesus, in whom we are being built together spiritually into a dwelling place for God (cf. Ephesians 2:22). What do the movies Peggy Sue Got Married, X-Men, Men in Black 3, Star Trek IV, and Back to the Future have in common? The same thing the novels A Christmas Carol, Rip Van Winkle, and Harry Potter and the Prisoner of Azkaban have in common. 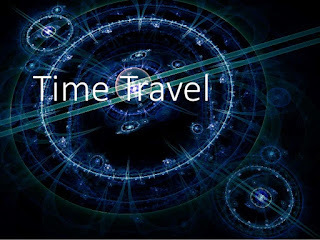 They all feature time travel, a popular device in film and fiction. 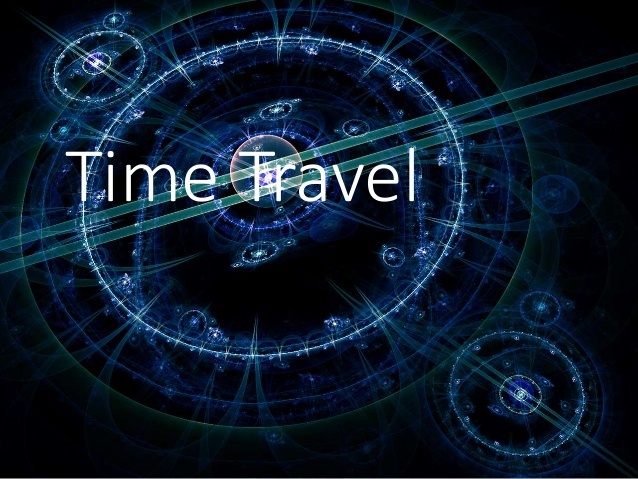 Time travel overcomes the limits of reality. Like the ancient human desire to fly, time travel frees us from one of the basic limitations of existence—and least for as long as it takes to finish the book or movie. There’s precious little chance that science will ever make it possible for us to travel in time. But the spiritual life does; in fact, the Christian regularly lives events of the past and even of the future. We’ve just listened to the Passion—not to be reminded of a story we all know, but to enter into the story. We’re about to begin a week in which we are invited to share in the suffering, death and resurrection of Jesus—not as spectators, but as participants. And it’s not only the Gospel that allows us to enter fully the timeless events of two thousand years ago. With equal power, the liturgy takes us back to Calvary and leads us to the glory of Christ’s resurrection—and to our own, still to come. There is nothing a Catholic Christian can do that is more powerful and fruitful than participating in the events of Holy Week. Because the liturgies of the Sacred Triduum—Holy Thursday, Good Friday and the Easter Vigil—carry us back in reality and not merely in symbol. This is especially clear on Holy Thursday. We reenact the first Last Supper in symbol, washing feet as Jesus did; but we experience it in reality as we receive his Body and Blood just as the Apostles did. On Good Friday, we stand at the cross no less than Mary and John did; we mourn our betrayal no less than Peter did. When we hear the haunting hymn “Were You There (When They Crucified My Lord)” we answer, “Yes. I am there. I am here.” The liturgy makes this possible. At the Easter Vigil, we wait and watch with those first anxious disciples. The long night of sin ends with the dawn of victory, a victory which we not only celebrate but live. Thursday night. Friday afternoon. Saturday night. 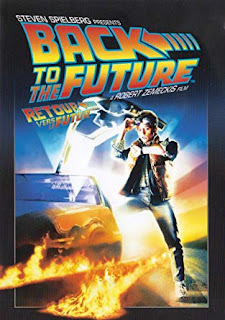 Three opportunities to travel back, back to our future. I thought about that tune last summer, when the smoke from upcountry wildfires made my eyes sting and even made it hard for some people to breathe. 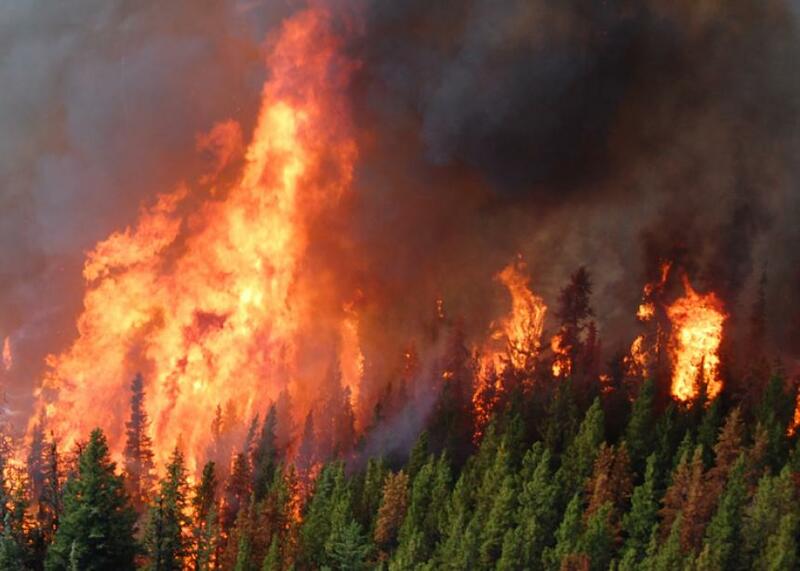 But smoke can have far more serious consequences. It can cause blindness. During a tour of a reconstructed native village in Ontario, I remember our guide saying that many indigenous women in the seventeenth century were virtually blind by the time they were 40 from tending the poorly ventilated fires constantly burning inside their houses. Today, we live in an age filled with enough smoke to block the sun. And if the smoke doesn’t blind us, it sure clouds our vision and causes us to lose our way in the gloom. The blacks and white of times past—the confident knowledge of good choices versus bad—are now a bunch of greys we can hardly make out. On even the most basic decisions, many (especially the young) have trouble knowing right from wrong. Much of this confusion comes from the breakdown of the moral consensus that once united western society. But some of it comes from within the Church itself. In 1972, Pope Paul VI said that “the smoke of Satan has entered the temple of God.” How much truer are those words today; Satan’s smoke has obscured for many the beauty of the Gospel and the beauty of the Church, God’s temple. What can drive out the smoke? What can restore clear vision to the world? What can heal the blindness of hearts? There is a one-word answer to these questions: Jesus. Jesus, the Son of Man. Jesus, the light of the world. Jesus who gives sight to the blind (see Luke 4:18 and Psalm 146:8). If we are having trouble seeing our path, we need clarity about what Jesus offers and promises. If we have family members or friends who have lost their way in darkness of one kind or another, they need Christ’s vision of freedom and peace. And if the world is to come out of its spiral of selfishness, fear and confusion, it needs the answers the Gospel gives. Clear and compassionate answers to life’s questions. Where can we find that clarity? How can we share it with others? I have another one-word answer: Alpha. 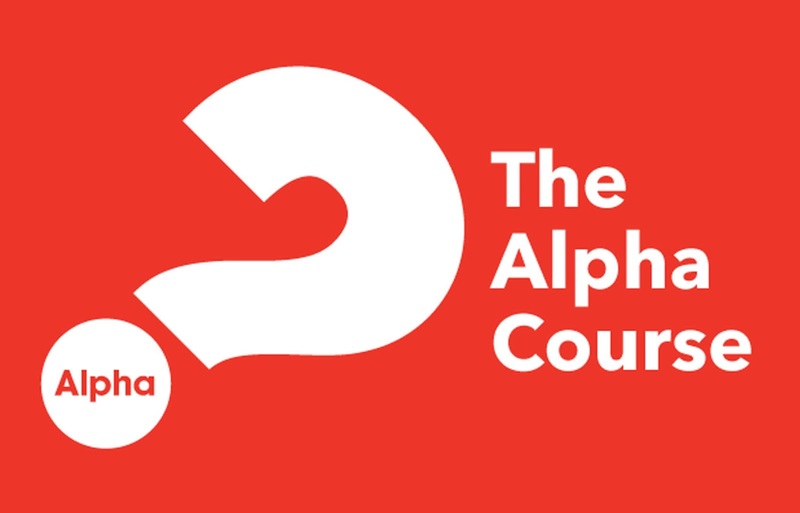 Take a look at this short video presentation—and then consider taking a closer look at the Alpha course we’re offering right here after Easter. We start most Alpha evenings start with a lighthearted video—a great way to make our guests relax, and to remind them that Christianity isn’t dull and boring. My all-time favorite is a YouTube clip by the clean comic Brian Regan. He has everyone laughing as he makes fun of buying a refrigerator. The comedian goes on, but you catch the drift. However, every time I watch the routine, I find myself feeling a bit sorry for refrigerator salesmen. Because the joke was on me when I bought a refrigerator. What I wanted was something to keep food cold. But what I really needed was something more: one of those fancy fridges that dispenses ice water. Our fridge stopped working soon after I came to the parish—just before I realized that almost everyone coming to see me wants water, especially young adults. When I was young, an offer of a drink before an appointment meant coffee or tea, or maybe a pop. Not water. I think there may be a case of mass dehydration out there. At least all those water-bottle-carrying Christians will find it easy to connect with today’s Scripture readings. In the first reading water gushes from a rock in the desert, in the second reading love is poured into our hearts, and of course the Gospel simply overflows with living water. At the start of Mass I told you that our readings would be from the Mass for the First Scrutiny, not the Third Sunday of Lent. Now I’d like to explain why. The reason is simple: our parish has two catechumens preparing for baptism at the Easter Vigil. On the third, fourth and fifth Sundays of Lent the community gets a chance to meet them at Mass. These encounters with the catechumens are called scrutinies. The Church pulls out all the stops for the catechumens, reading three spectacular passages from St. John’s Gospel on those three Sundays. They help those getting ready for baptism to make a full and final decision for Christ, who offers them living water (this Sunday), sight and insight (next Sunday) and finally eternal life. The scrutinies this year will be at the 5 p.m. Mass. The Church permits us to use the special readings at all the Sunday Masses, so we will all feel connected to our friends preparing for baptism, and help them with our prayers. And it’s merciful to priests who preach more than once on a Sunday since it would be a tough to prepare two different homilies. It’s not hard to figure out why catechumens have been told the story of the Samaritan woman since ancient times. Their long preparation for baptism was designed and intended to make them thirst for Christ. They’ve crossed the desert of sin and now the Church, the oasis of life, is in sight. Our catechumens barely need a homily. Every word of Jesus and every word of the woman at the well speaks to their hearts. Perhaps we, the already-baptized, need a homily more than they do. Because we may not know we’re dehydrated, and that can be a dangerous thing. Doctors and coaches regularly remind runners—and all of us—not to wait until you notice symptoms of dehydration to take action. Are you thirsting? Let’s face it—despite the rain we love to complain about, we all live in a spiritual desert, at least some of the time. The sun beats down on all of us, and most of us know what it’s like sometimes to feel dry as dust in our spiritual lives. Young people can lose their way in the desert—there are no landmarks to guide them. Middle-aged people can be wearied by the noonday heat: many places in the Scripture speak of the dangers of night, but Psalm 91 reminds us that the midday sun can also be destructive and make Christians lose heart. Some find old age a desert, with the landscape around them slowly becoming barren as they lose friends, loved ones and give up familiar surroundings. Whatever age we are, there are various ways we find ourselves in the desert. Sometimes we are even led there by the Spirit, as Jesus was. We didn’t ask for it; we can’t explain it; and we don't want to be in a dry and lonely place. But we meet God there, according to his plan for us. Sometimes we are dumped in the desert by circumstances. We’re suffering from the death of a loved one, illness, unemployment or some other worry. When we look around we can’t see a single flower or tree, just a lot of prickly cactus bushes. Temptations, too, can be a desert. One day we’re hiking up the spiritual mountain, enjoying the view, and then all of a sudden life is bleak, and we’re dying for something to relieve the monotony. There’s one thing these different desert experiences have in common: they all make us thirsty. Dryness creates desire. But here’s the important thing: there’s nothing wrong with being thirsty, as long as you have something to drink. Thirst in itself isn’t bad; in fact, when you're thirsty, there’s nothing better than a cold glass of water. The feeling is good. The water refreshes us. Of course we can try to quench our thirst with the wrong things. Some drinks make us thirstier in the long run. But if we drink from the stream of life—if we drink the living water that Jesus promises—our thirst will have done us good. So there’s nothing necessarily wrong about the desert. Just as thirst reminds us how much we depend on water, so the deserts of temptation and trial remind us how much we depend on grace. I've talked about a number of the ways we can find ourselves in the desert. But sometimes we decide to spend time in the desert. That's what Lent can be: we leave the ‘city’ of our selfishness and retreat to the ‘desert’ of our hearts. We freely chose to step back from rushing around in what we call ‘the real world’ so we’ll have time and energy for the things that matter most. All of this presumes we are ready to drink from Christ. It’s said that “when we drink from the world, we always thirst again, when we drink from Christ, we never thirst again.” In a world full of temporary things, we’ll find temporary satisfaction. Jesus alone satisfies the longing of the heart, and satisfies it reliably, consistently, and eternally. But he doesn't give us his living water in plastic bottles. We must meet him personally where he can be found—and the desert is one sure place to find him. On Tuesday, our grade two students celebrated the Sacrament of Penance for the first time. That review from a young critic was very welcome—because it’s been a rough week. The cold I’d managed to shake before my vacation decided to come back with a vengeance, meetings and appointments seemed endless, and I felt more pressure than a certain Minister of Justice. But a bad week and bad days can be a big help to good preaching. Because I really feel called to emphasize the darker side of our readings today. The dark side of these Scripture texts, like the dark side of our lives, is rarely central. But it’s there, and I think we should take a look at it. The Gospel is more glorious still, as Jesus reveals his glory and his plan for salvation—a second Exodus and a new covenant sealed in his own blood. Even the second reading, which grants us heavenly citizenship, a passport to paradise, speaks of “the body of our humiliation.” That phrase is also translated “our lowly body.” Until the glorious day when our bodies are transformed, we are weighed down by earthly reality. And that reality includes the complex chemistry of our brains, our physical reaction to pain in mind our body, and other things that can be confused with our faith in God. I don’t blame anyone for thinking this way; I think that way myself when I’m feeling miserable or things aren’t working out. Since we thank God for peaceful and blessed times, it’s not surprising that we blame him in dark and difficult times. 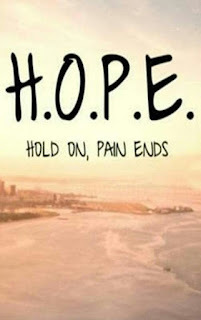 That’s especially true in times of physical illness and depression. We get confused about where God is, and what he is or isn’t doing. And then we blame ourselves for being confused. The Psalm today is a spiritual reality check. Whoever wrote Psalm 27 was very human, even if it’s part of the inspired Word of God. First, he professes faith in God, who is his “light and salvation.” Half a second later he talks about being afraid, and crying aloud. The Psalmist worries about God hiding his face and turning away in anger, even about being cast off. It’s a pretty good picture of depression. Wait. It’s not over till it’s over. Yogi Berra spoke those words when his team seemed to have no chance of capturing the division title, though they went on to win. For us, the wait is longer—but the promise is surer. Jesus gave his three disciples a glimpse of his glory for a reason. It was a powerful way of saying one word: wait. When you are terrified on Holy Thursday, wait. When you see me hanging on the cross, wait. Wait for the Lord; be strong, and let your heart take courage. It is not here on earth that God fulfills all his promises to us; we expect a Saviour from heaven who will transform our sorrows into joys, and bring peace to our troubled hearts. There is no spiritual formula fancier than the two words at the end of St. Paul’s exhortation to the Philippians: “stand firm.” Hang on. In the meantime, we neither pretend the darkness is light nor rant against it. Of course Jesus isn’t speaking about what we eat but about how we live. And in today’s Gospel he is showing us a priceless method of living according to his example and teaching. I don’t really need to point out what’s happening in the exchange between Jesus and the devil. Just after his baptism in the Jordan, and just before he begins his public ministry, Jesus is tested and tempted. The temptations are familiar to each one of us. The offer of food is the temptation to gratify the senses, whether by gluttony or lust. The offer of kingdoms of the world appeals to our greed for power and possessions, and jumping off the top of the temple is a temptation to pride. There’s nothing new there. These invitations to sin appear in the Garden of Eden, all through the Bible, and in our own lives. What’s new here is the method of fighting evil that Jesus models for us. He uses no special power that we don’t have. He doesn’t toss Satan off the roof. He works no miracle. What Jesus does is use Scripture. Our Lord handles the devil in a way that any one of us is perfectly capable of doing. He takes up what St. Paul calls “the sword of the Spirit, which is the Word of God” (Eph. 6:17). You might think that’s perfectly obvious. Well, if it is, I’m a bit slow. I’ve read this story dozens of times, but this is the first time I figured out exactly what Jesus was showing us. I can’t take any credit for figuring it out. I owe it to a fourth-century monk called Evagrius Ponticus (or Evagrius of Pontus). 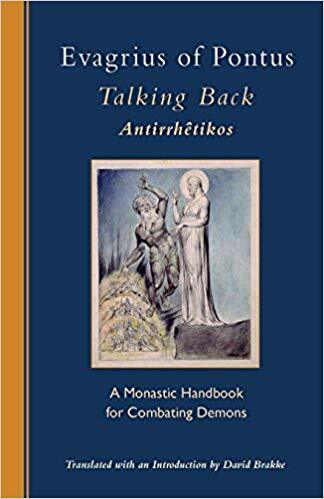 Evagrius gave a name to what Jesus is doing in his encounter with the devil: he called it “contradiction”—the use of a verse of Scripture to confound the devil. 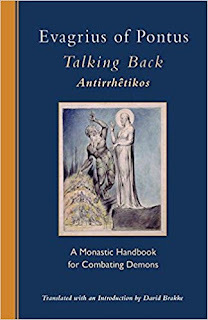 But a recent translation of Evagrius’ work uses an even better name: “talking back.” Responding to evil thoughts with the Word of God is talking back to the devil. St. Benedict, born about 150 years after Evagrius, picks up this idea in his Rule for monks. He tells them—and us—to catch hold of temptations and “dash them against Christ.” Christ is the immovable rock that shatters the hardest temptation, just as he does in the Gospel we’ve heard this morning. There’s a big challenge here. Talking back to the devil with God’s Word requires something: we need to know what the Word says. 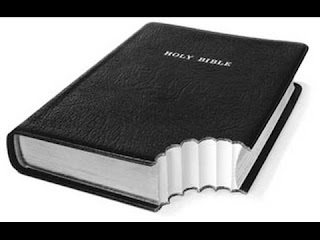 Standing at the top of the Temple, Jesus did not tell Satan, “Hold on, I need to look something up in my Bible.” And that’s not only because he didn’t own a Bible. The verb “dash” suggests something done quickly—in fact, St. Benedict says to do it while our temptations are still “young” (RB, Prologue, 28). In Sunday School, many Protestants learned to memorize Scripture. When I was young, all we memorized was catechism answers. As adults, it may be time to memorize at least a few key verses from the Bible that we can quickly use to talk back to temptation. We could start, of course, by memorizing the three Old Testament verses that Jesus uses in his confrontation with Satan. We may not be tempted the same way, but these scriptures answer many of the devil’s standard opening lines. I mentioned the book Talking Back. It lists dozens of short Scripture passages that Evagrius suggests we use to contradict specific temptations. If the devil tells you this, you tell him that. (You can take a look at Evagrius's work on-line here.) Some of the Bible quotations are a bit obscure, but why can’t we make our own little talking back book, listing the things the devil likes to tell us and matching them up with a contradictory verse from the Bible? If you’re looking for a Lenten project that’s more interesting than giving up bread or chocolate, grab a Bible and start thinking about how it can help you talk back against Satan and stay strong in the fight against temptation and sin.